A person who is bleeding can die from blood loss within five minutes, and no matter how rapid first responders arrive, bystanders will always be first on the scene. 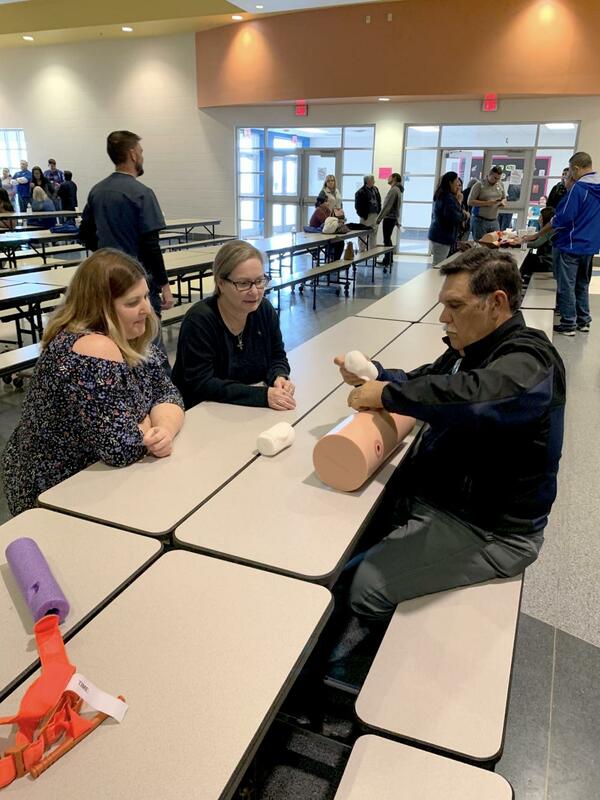 That’s why Raymondville ISD partnered with Valley Baptist Health System to join “Stop the Bleed,” a nationwide campaign to empower individuals to act quickly and save lives. According to Ernesto De Leon, Valley Baptist Trauma Program manager, Raymondville ISD was FIRST IN THE STATE to implement a “train the trainer model,” preparing district nursing staff to be Stop the Bleed instructors, and on March 18th RISD became the FIRST SCHOOL DISTRICT IN THE VALLEY to provide this type of training to its full staff. 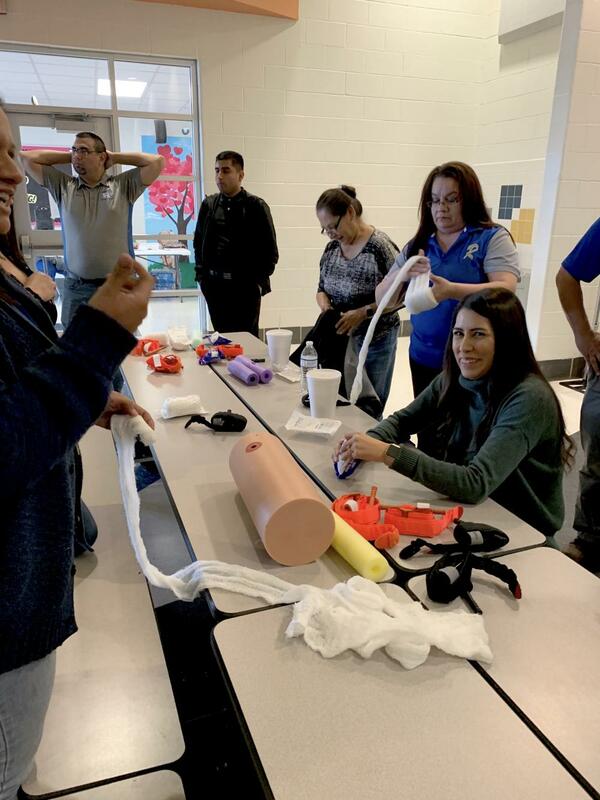 Valley Baptist Health System and Raymondville ISD Nursing staff worked together to train nearly 300 staff members how to respond in an emergency. Teachers used mannequins to practice applying steady pressure in order to stop the bleeding. They also used mannequins to practice stuffing a wound with gauze. After working on the mannequin, staff practiced applying a tourniquet on each other. Each staff member demonstrated that they knew what to do in front of a certified “Stop the Bleed” instructor before the class was ended. 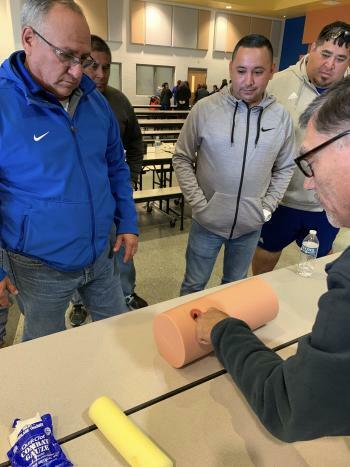 Raymondville ISD staff appreciated the hands-on approach to the training. “I hope I won’t need to use these skills, but I am confident that I will know what needs to be done,” said Sandra B. Garcia, 2nd Grade Teacher Pittman Elementary. RISD District Health Coordinator Joann Posas shared, “Approximately 40% of trauma-related deaths are due to bleeding, but death from bleeding is preventable. I heard about “Stop the Bleed” in the fall, and I knew Raymondville ISD needed to be a part of this campaign.” Posas discussed the campaign in her health science class, and students in the Raymondville Early College High School Nursing Program saw an opportunity to save lives. Each campus will now have tourniquets available for use in an emergency, and dozens of employees who know what to do. “With Stop the Bleed in place, and trained staff, the teachers, administrators, and staff become the onsite first responders- trained to be calm and stop the bleeding from a gunshot wound until certified medical personnel or paramedics arrive,” Posas said.